Here's a sneak peek into some of the HR Tech participants of the TechHR Singapore Startup program. 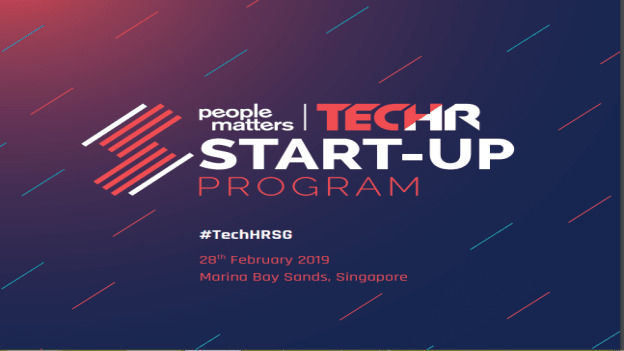 The People Matters TechHR Startup Program every year unfailingly showcases many innovative early-stage startups in the HR technology space every year. The startups are chosen on the basis of factors such as a sharp vision for the product and a deep understanding of the talent problem it is solving. In India, over the years, the program has brought to fore many early-stage startups in the HR technology space that have gone to raise funding and get the desired attention from investors and recruiters alike. It is this very program that People Matters is being brought to the APAC region with Tech HR Singapore 2019. The Tech HR Singapore event to be held on 28th February, 2019 at Marina Bay Sands will bring together thought leaders, HR Practitioners, HR Technology product leaders, startups and investors from the APAC region to build a vibrant community that will redefine the future of work in the region and raise the bar for productivity, innovation and growth. 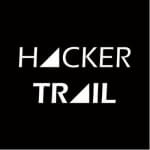 HackerTrail is a cloud-based recruitment solution exclusively for the IT industry. 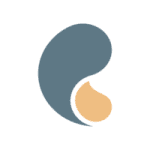 It uses a combination of social recruitment and gamification to connect top talent with the right job opportunity. The platform uses clever technology to source thousands of candidates and then identify the most relevant candidates for a job using data science, machine learning, and gamification. The gamified solution prevents interview fatigue and empowers hiring managers to focus their resources only on the right candidates. For hackers, it provides them with as much information as is available about the job and the company, empowering them to make an informed decision about a job opportunity even before they apply for the job. Candidates can take short challenges so that prospective employers can understand how they think, and what makes them stand out from the crowd. Of course, for employers, the gamified platform goes far beyond an open-ended job listing on a typical job board to make their next tech hire. Helpster aims to revolutionize the informal labor market in Southeast Asia. Helpster's flexible staffing platform instantly connects informal and casual workers to businesses in their area who need help, giving them access to a consistent, reliable, and trustworthy source of income. For businesses, Helpster solves their staffing challenges by giving them instant access to a curated network of qualified workers who live nearby and have the skills they need to perform the job. The on-demand staffing platform aims to change the way people find work, and businesses find workers. The two-year-old startup that connects blue-collar workers with employers in Southeast Asia closed $2.5 Mn in new funding from Convergence Ventures, Wavemaker Partners and Mojo Partners in 2017. 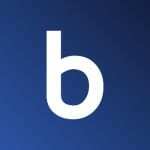 Blonk is a mobile matchmaking platform created in Silicon Valley in 2014 that directly connects recruiting managers and candidates preselected by a matching algorithm. Headquartered in Paris, Blonk helps companies reach top talents. With Blonk, candidates swipe jobs anywhere anytime. After a mutual like, they get a match and can chat directly with hiring managers in a straightforward way. Recruiters or hiring managers can post a job on the platform, talking about themselves, the job and their company There is a first matching algorithm which matches jobs requirements with people hard skills and motivations. So like Tinder, candidates and employers swipe left/right based on the resume and once matched, or in other words, there is a mutual like, they can start a conversation. “We use AI to connect talents and hiring managers directly in a few swipes-just like Tinder. For our design, we were also inspired by this app because we believe that in recruiting a lot of personal chemistry is involved- it's actually very similar to dating." Payboy is the leading HR management software suite for Singapore. 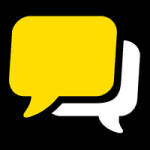 Payboy assists companies in being super-efficient in their routine HR communications. Payboy offers an intuitive and easy-to-use HR management system. As a fully updated and compliant Human Resource Management System (HRMS), it simplifies the hard stuff so companies can just focus on what matters which is to access the full utility of their employees. The HRIMS enables businesses to minimize discrepancies and maximize employee satisfaction with our IRAS-approved payroll software, simplify workflow with self-service leave and claims management software, managing part-time and on-demand staff easily its scheduling software suite, and in effortless attendance tracking. Evie is an AI assistant platform that can enable fast seamless AI-powered applications to be deployed across the enterprise. Evie's capabilities include scheduling meetings and interviews, booking meeting rooms, tracking to-dos and integrating with backend enterprise HRMS and ATS systems. With an AI assistant like Evie, users no longer have to handle all the scheduling negotiations, time zone calculations, follow-ups, calendar invites, and reminders. Evie can also be extended to handle company-specific workflows like employee onboarding, leave application and other traditional pain points. Evie wants to be every employee’s digital assistant.